Several months ago I signed up for"Google Analytics." This is extraordinarily valuable service that Goggle provides, free of charge, to all interested websites. With this program you can determine the number of visitors to your site, how long each visitor remains on the site, and how many pages each visits, along with other information. As a non-techie, I am just blown away at what this program can tell you! And, while my intent here is not to offer a testimonial for Google Analytics, and if anyone at Google wants to use it as such - BE MY GUEST! What I do want to share with you was some on the data I got with regard to www.loveleadership.com. It simply stunned (and of course delighted) me that people from more than 22 countries visited my site! About 80% of my visitors were from Canada, which is not surprising, since I am from Canada, with 15 % from the US., and 80% of those from New York State. Getting so many visitors from across the world, and from New York as well, was interesting. Where do you think the next highest number of visitors might be from? You might guess he UK, Mexico or Australia. In fact, the next highest number of visitor was from - IRAN! Wow! I would have never guessed Iran. In fact that might have been my last guess. This has me wondering why my site, but it does get you wondering why 8 people in Iran be searching a site about love Leadership. When I daydream a bit and think perhaps the notion of a new kind of leadership, or the longing for it, is universal. This increases my passion and determination to make this new model a "new normal" universally, in any and every way I possibly can. When I initially discussed my book's working title with Judy Katz, my editor and publicist, the subtitle was its O.K. Judy strongly suggested I change the subtitle to "What the World Needs Now." My original reaction was that I was not sure this book could make such an ambitious claim. But as we progressed further into the heart of the book, I felt more confident that yes, this was what the world needs. And today I am more convinced of that than ever. Other surprising visits came from people in Pakistan, India, Saudi Arabia and China. 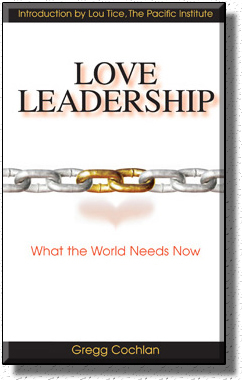 Do you believe people everywhere are ready for Love leadership? I sure do!